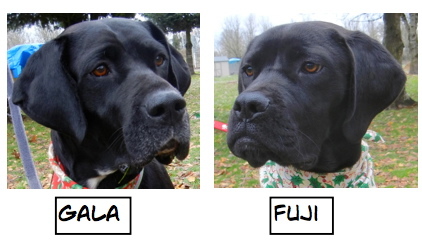 Winter is usually a slow time for adoptions, but we still had quite a few dogs find their new homes during the past week. 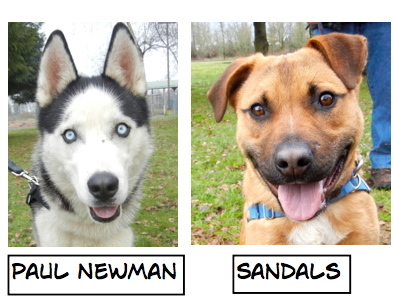 Here are the Blog Dogs who are now with their families. I was especially excited about Pancho. He has waited a very long time for his perfect match and volunteers and staff were thrilled when the right family came to get him. 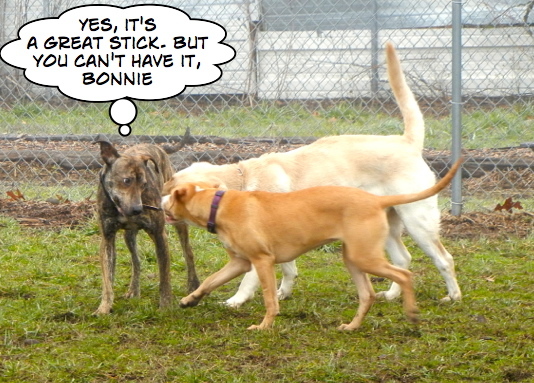 Bonnie is a youngster and didn’t quite understand all of Victor’s rules. Happily, Victor was patient and explained them to her. Bonnie, a typical teenager, had trouble taking no for an answer. River gladly accepted Victor’s challenge. 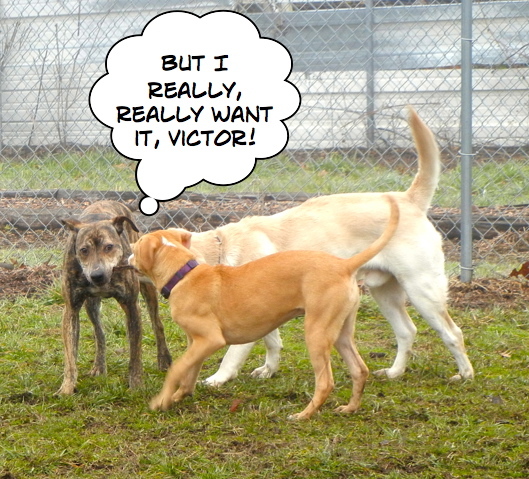 After some time, the others lost interest, but Victor didn’t notice that no one was playing anymore. 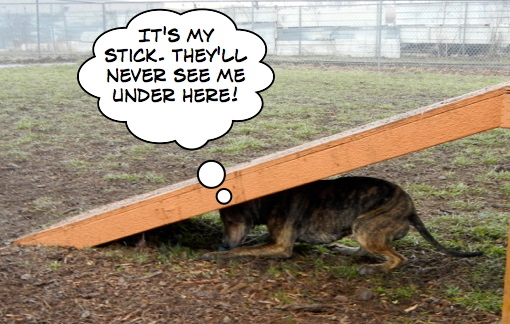 Mary didn’t see much point in chasing after Victor, when there were sticks all over the yard. She preferred hanging out with Sarah. I just love Mary’s grin. No, I’m NOT a sheep! There were several new arrivals for me to photograph on Sunday afternoon with Sarah’s help. 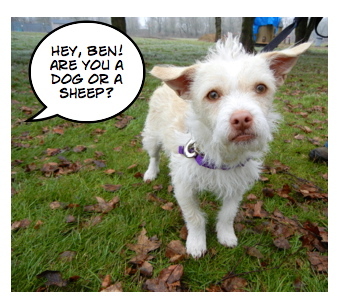 The first one was little Ben, a one-year-old Terrier mix. While I was taking his picture, River was being walked by another volunteer. He couldn’t resist a little good-natured teasing. Ben was not amused. He actually DOES look like a little lamb, don’t you think? Ben is a shy little guy and would do best in a quiet home. If I look like this, how can you resist? 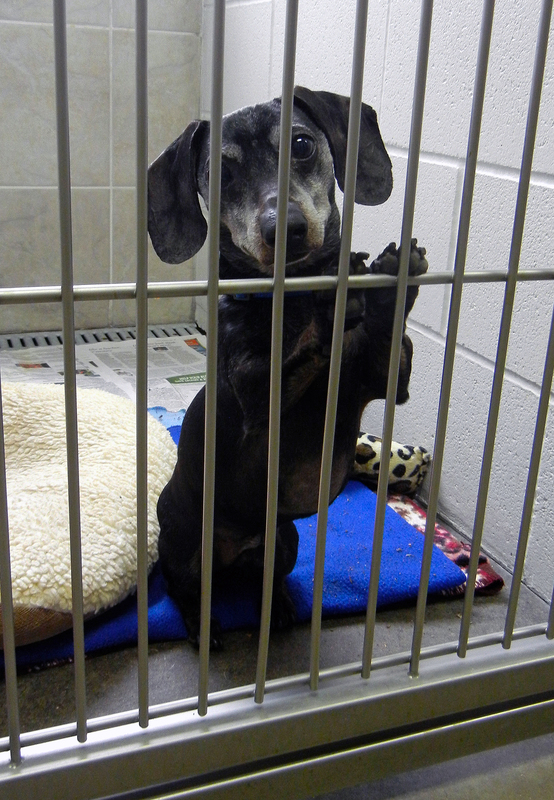 When we took Ben back to his kennel, there was Max next door looking so cute. I had to snap these pictures. 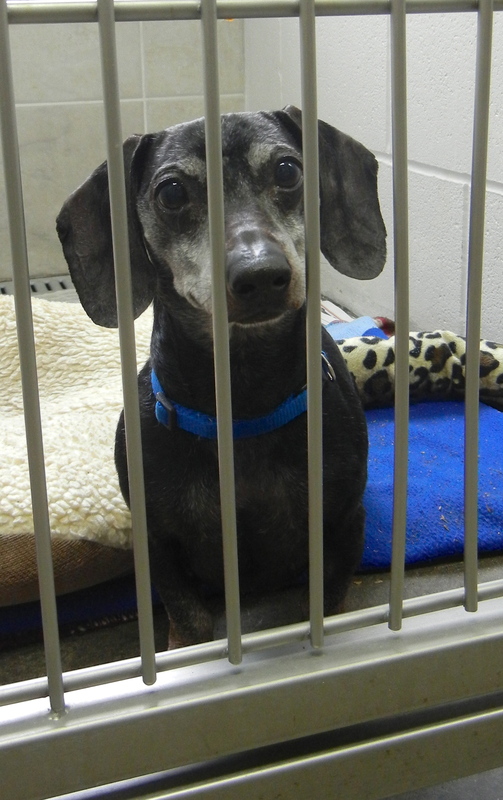 Max is a ten-year-old Dachshund who is looking for an adult home. He loves to cuddle in your lap and does not like to be left alone for long periods. He melts your heart! I may have been a stray, but I’m very handsome! when you interact with him. He really wants your attention and is quite a lover. I felt like he was asking me to take him home.” Caspian is a stray, so we don’t know much about him, but he has gotten along well with the other dogs and he loves to play. Here he was Sunday with Sarah. One additional note about Caspian from today (Wednesday). Volunteer Linda took him out to walk and could not say enough good things about this beautiful boy. 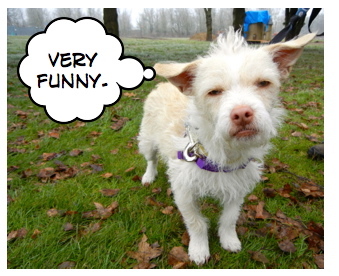 She said he walked well on leash, is loving, took treats nicely and is just about a perfect dog. She is crazy about him! I like everybody and I play well with others. Will you adopt me? 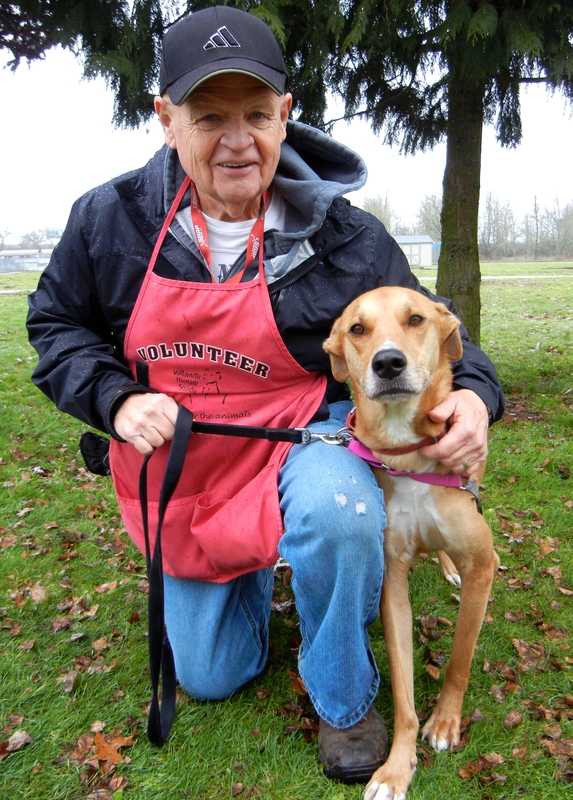 When I got to WHS this afternoon, Larry was walking a new arrival, Tank, a three-year-old Lab mix. Tank is a bit shy at first meeting, but warms up very fast. I had first met him on Sunday and liked him immediately, and so did Larry. Tank gets along with everyone, both human and canine. 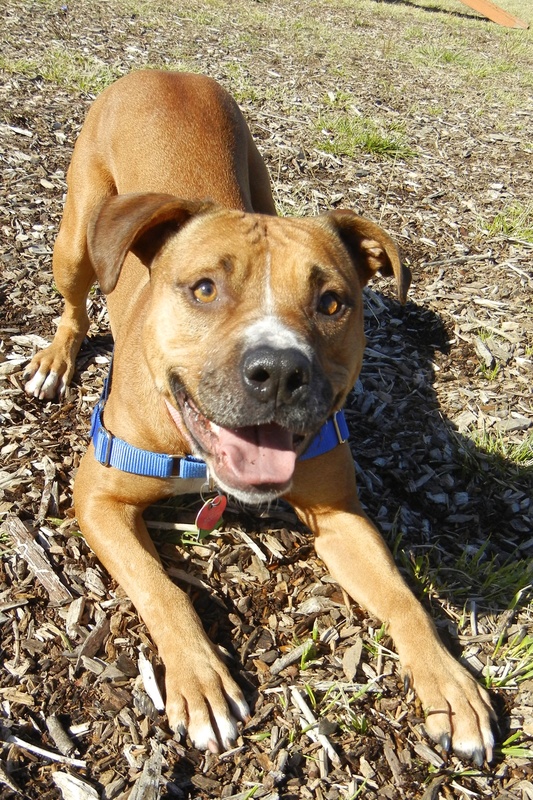 He loves to play fetch, takes treats gently, knows several commands, and is simply a great young dog. I absolutely love this picture of Tank and Larry. Will the rain stop soon? It rained the entirety of my dog-walking shift today. While some dogs don’t seem to mind one little bit, Marty isn’t one of them. Debbie and I got the impression he would much prefer to be curled in your lap with a roaring fire in the fireplace. But that being said, Marty did quite well during his time outside. He walks well on leash, enjoyed munching on treats which he took very nicely, and as Deb reported, is a very nice little guy. 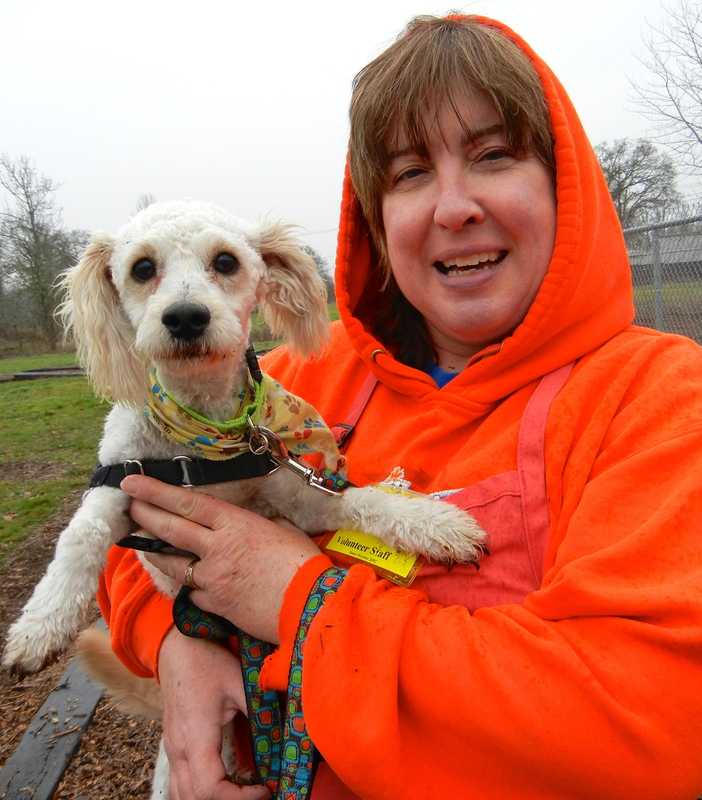 Marty is a three-year-old Miniature Poodle mix. Yes, I’m still waiting for my perfect fit! Could it be you? I enjoyed my time again this week with Diamond. As we went around the walking path, she kept looking up at me to check in and make sure she was doing what I was wanting her to do. 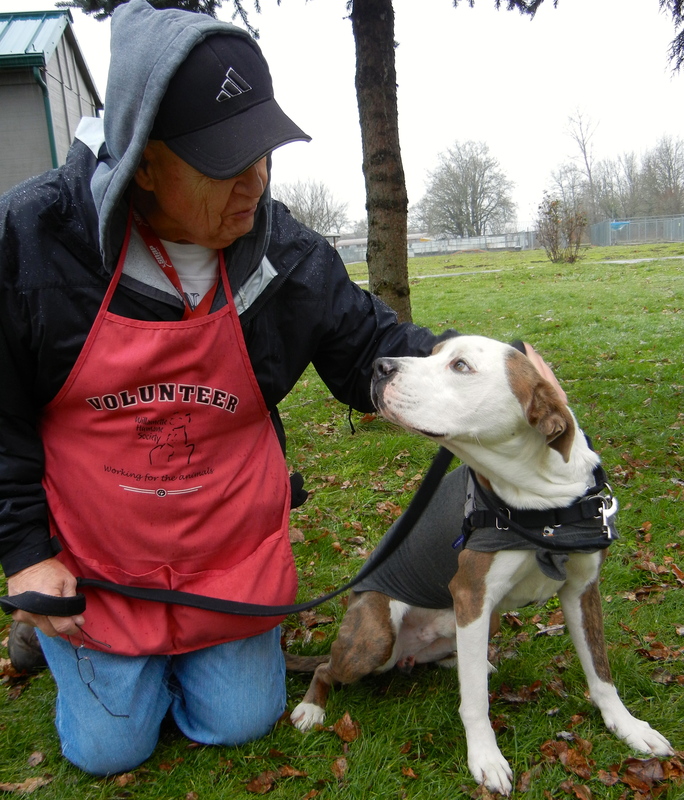 Even though she has been at the shelter for a long time, Diamond is not stressed about it and continues to improve in her behavior around other dogs. She will need to be an only dog, however, in her home. 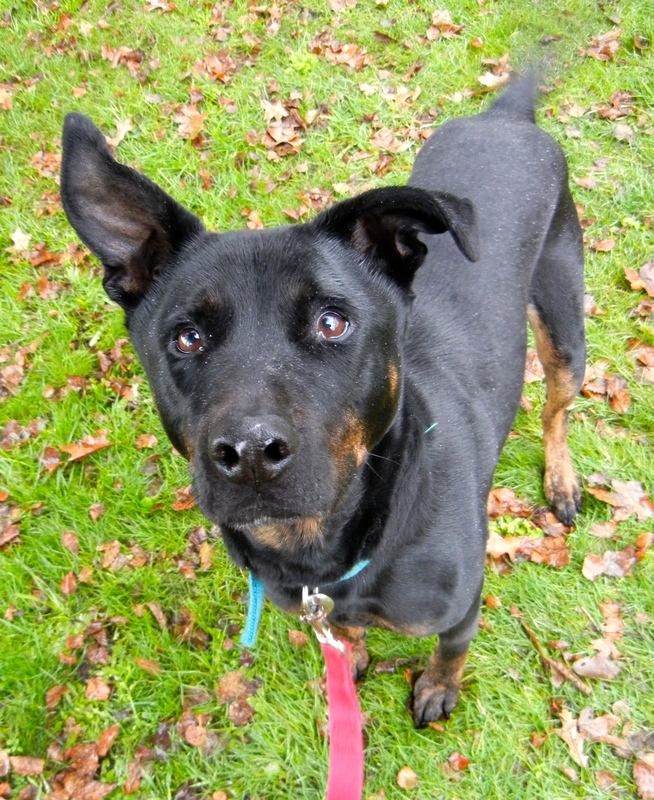 She is a seven-year-old Rottweiler mix who wants so much to be part of a family who will understand and love her. I’m new here and quite shy, but I’m hoping for a family! A dog I met for the first time last Wednesday, before he was adoptable, was Jasper. He was so nervous and shy that when I reached to pet him, he looked stressed and worried. Putting my camera away for awhile, I sat with him outside and we talked. He gradually relaxed some and let me pet him without flinching. This is the picture I took of him that day. He looked so sad. Today he seemed to be feeling some better. Larry spent some quality time with him. 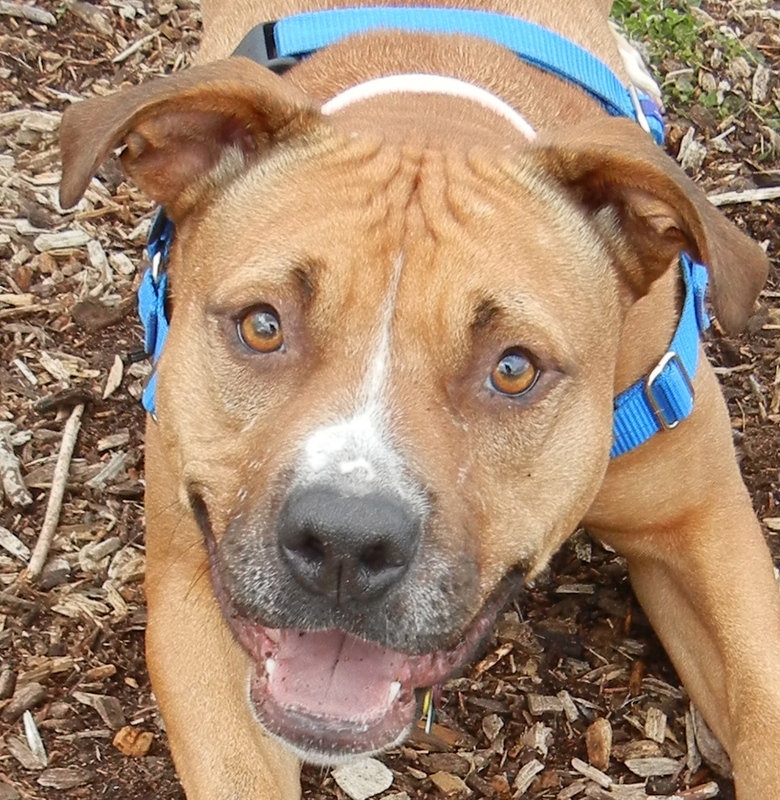 Jasper is a two-year-old Pit Bull Terrier mix who is really hoping for a quiet home and a patient family to help him gain confidence and feel loved. I haven’t had much experience, but I have a cute face! 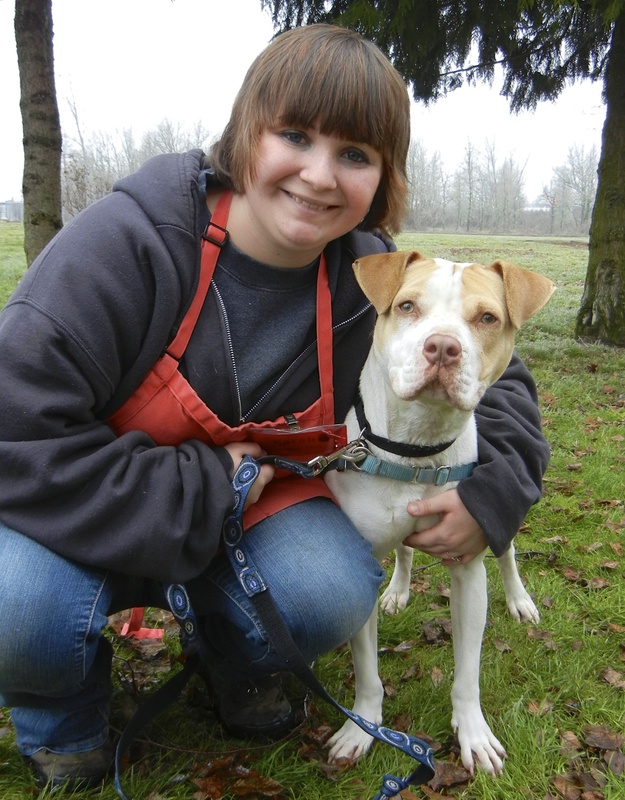 On Sunday, Sarah spent some time with another newbie, Paloma, a two-year-old Pit Bull Terrier mix who has been an outdoor dog her whole life. Because of that, she hasn’t had much exposure to other dogs or small children. She is very friendly, however, and full of fun. She’s hoping for an active family with older kids. I love her cute face! Got a stick? I’ll take good care of it for you! 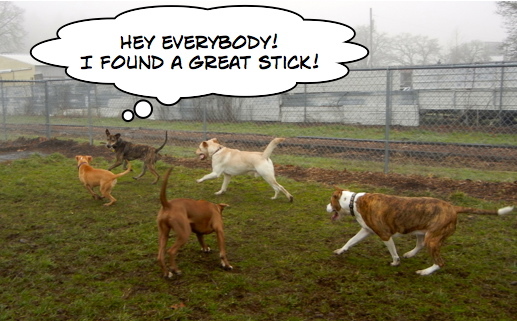 Ah, Victor, the stick-loving dog from play group! I’m very excited for this boy, as he has a hold on him and am hoping his new family comes and gets him very soon! Today Bethany spent some time with him. Victor is a one-year-old Lab mix who is very anxious to go to his new home! 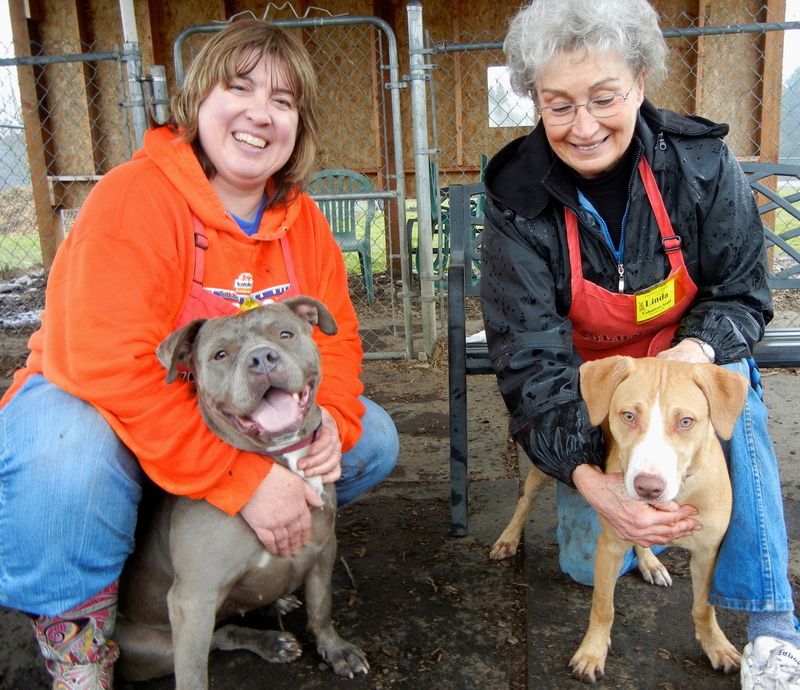 A Play Date for Mary and Bonnie! It was still raining at the end of our shift and it was very tempting to head out after all the dogs had been walked. 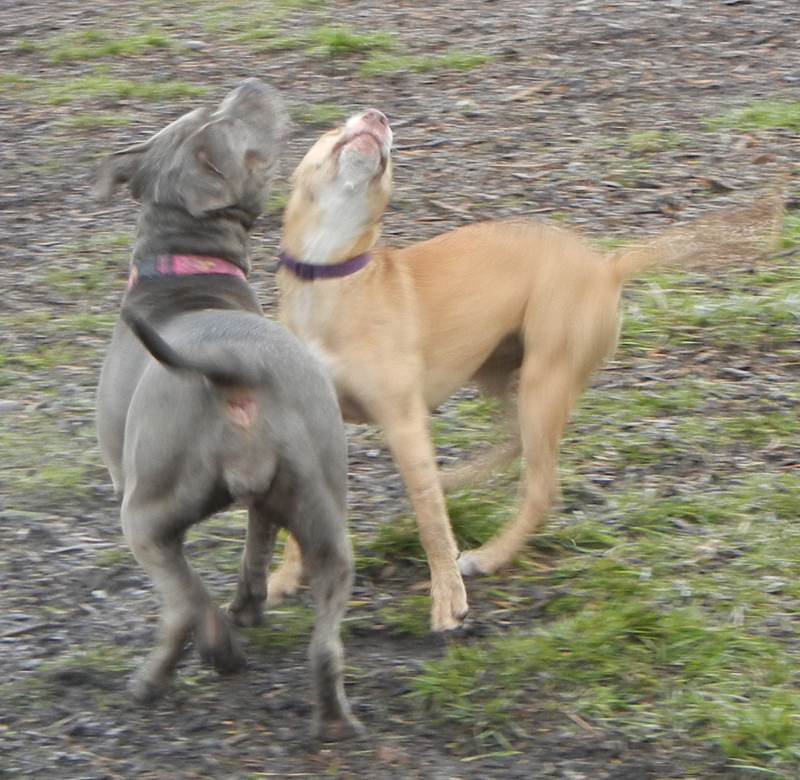 However, as I passed Mary sitting quietly in her kennel, I remembered how much fun she had had on Sunday playing with her new best friend, Bonnie. Since volunteers Debbie and Linda were still there, we decided to give the girls some playtime, and were we ever glad we did! 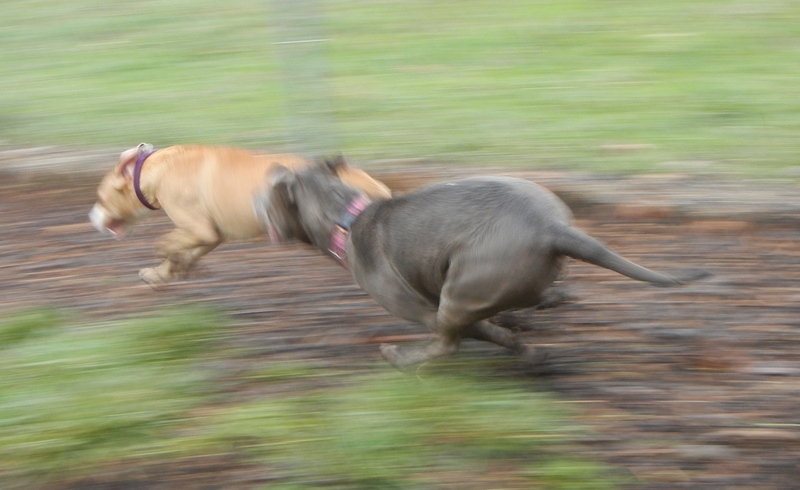 For almost a half hour these two raced around the yard in the rain having the time of their lives. Here are some action shots. Finally it was time to go back. I wanted one last picture that was not an action shot of these two with Deb and Linda. We were all glad we had taken some additional time to play. 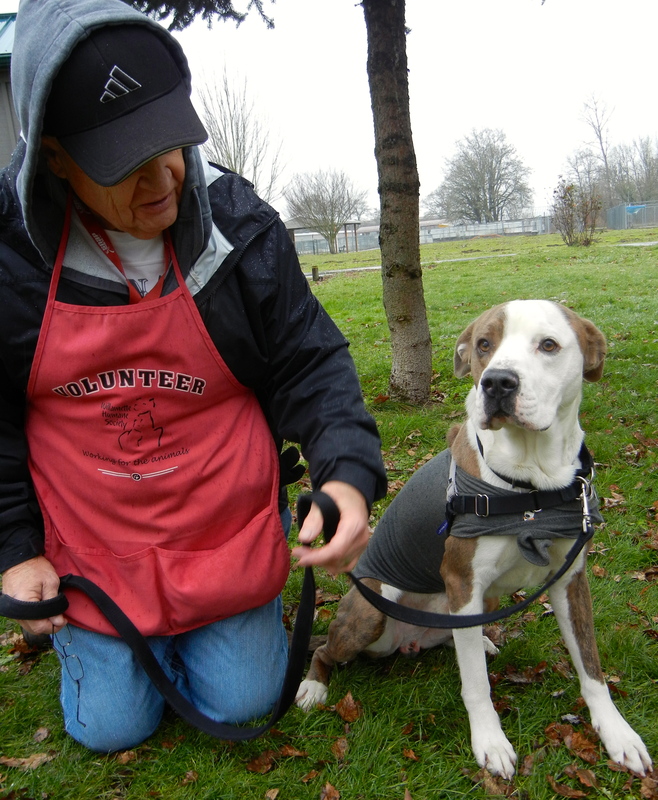 Remember Lucy, the playful dog who came to WHS from another shelter last September? She quickly became one of my all-time favorites and I wrote about her often. She was adopted once, but returned, and became one of our long-termers. 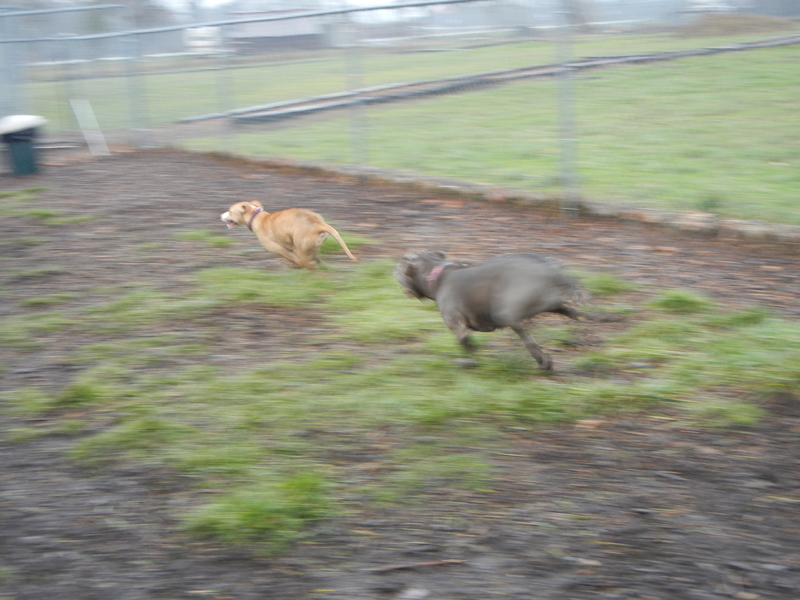 Then a new organization, Pittie Pals, heard about Lucy and decided to take her into their program. 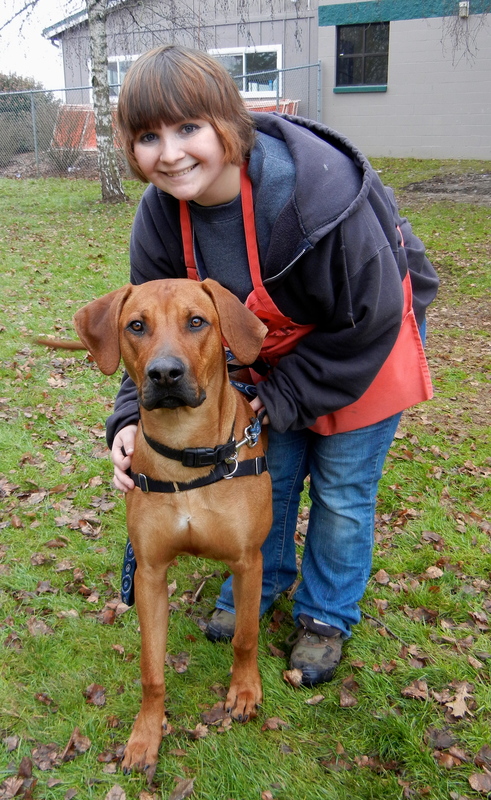 Lucy is doing wonderfully and is enrolled in a training class where she is learning new skills. Lucy is currently being boarded. 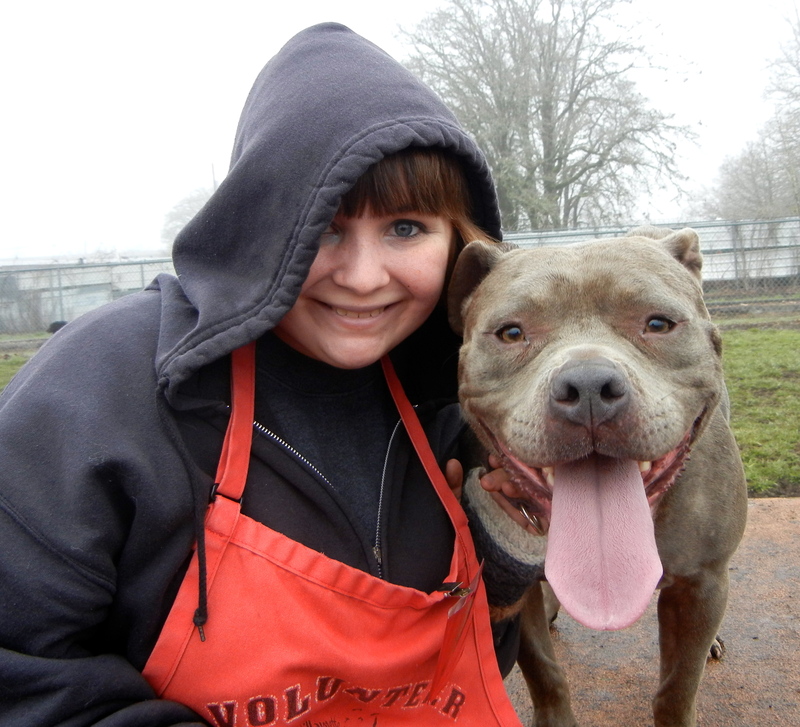 Pittie Pals is looking for a foster (or, even better, an adopter) for this special girl. Could you give her a foster home? 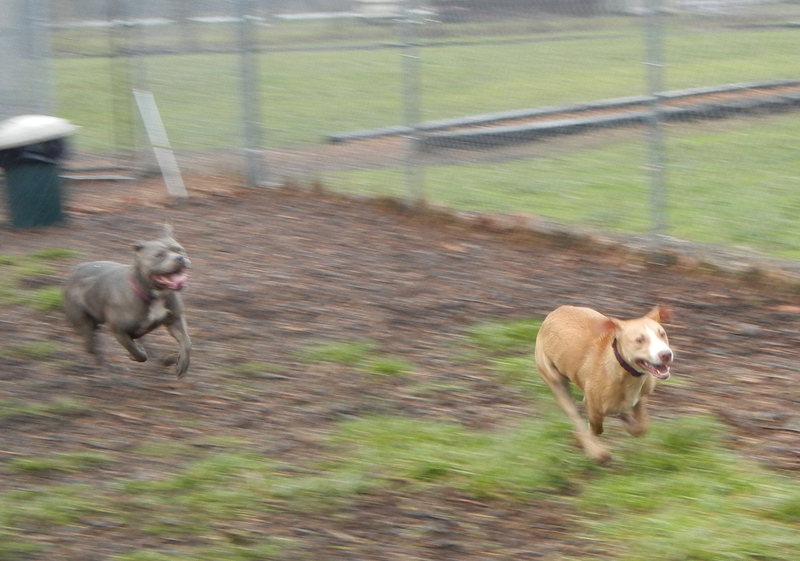 Lucy recently went for a weekend visit to Florence with Pittie Pal co-founder Debbie. Debbie reports that Lucy is a genuine couch potato. She settles so well inside and has beautiful house manners. She had no accidents, and even went into the crate for about an hour (to test). Debbie said she was a little reluctant to go in, but did not bark or whine. She played with toys intermittently, but didn’t get too rough. She was happy to crawl in bed under the covers with Debbie for the night. She walked on leash on the beach and enjoyed exploring. Pittie Pal volunteer Jeni also reports that when she took her to the vet this week, Lucy made a point of making friends with EVERYONE in the waiting room. She kissed every dog and climbed over the seats to visit with every human in the room. Here is the write-up about Lucy that I wrote for Pittie Pals when they accepted her. 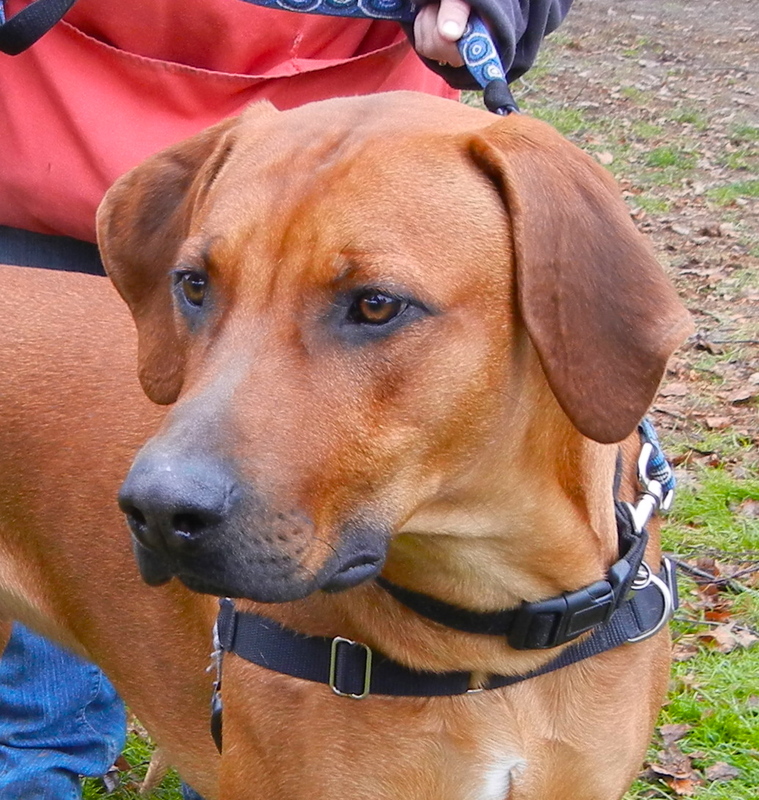 “Lucy is a delightful three-year-old Rhodesian Ridgeback/American Staffordshire Terrier mix. She loves people and strives to please them. Her absolutely favorite thing to do in the whole world is play fetch, which she will do for as long as you will throw a tennis ball. As you hold the ball in your hand, Lucy will give you an excited play bow, grinning widely, quivering with anticipation. Throw the ball as far as you can, and Lucy will dash after it with pure joy. But the best part is when she rushes back to you, stops on a dime, drops the ball at your feet, then backs up and gives you another play bow. 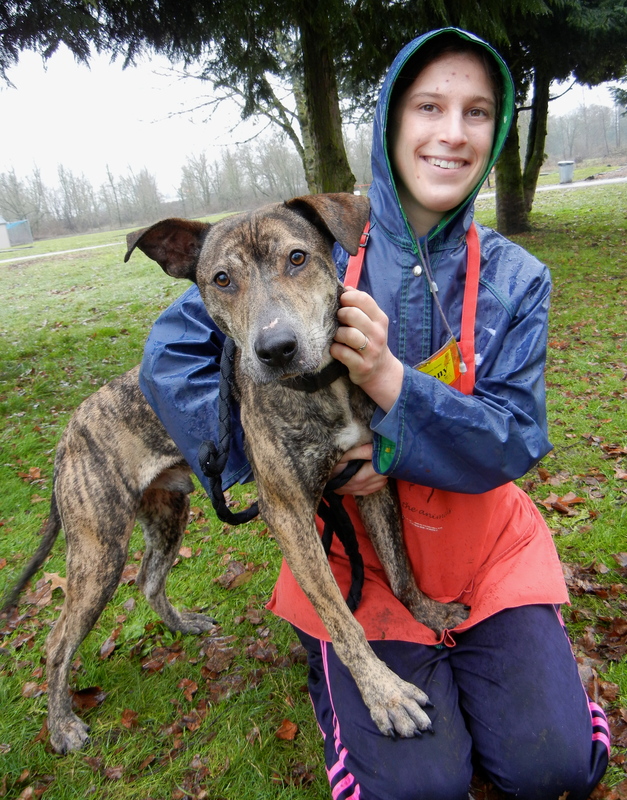 Lucy came to Willamette Humane Society from a shelter in Crescent City, California, where, though she was a favorite of the volunteers, she was not adopted. 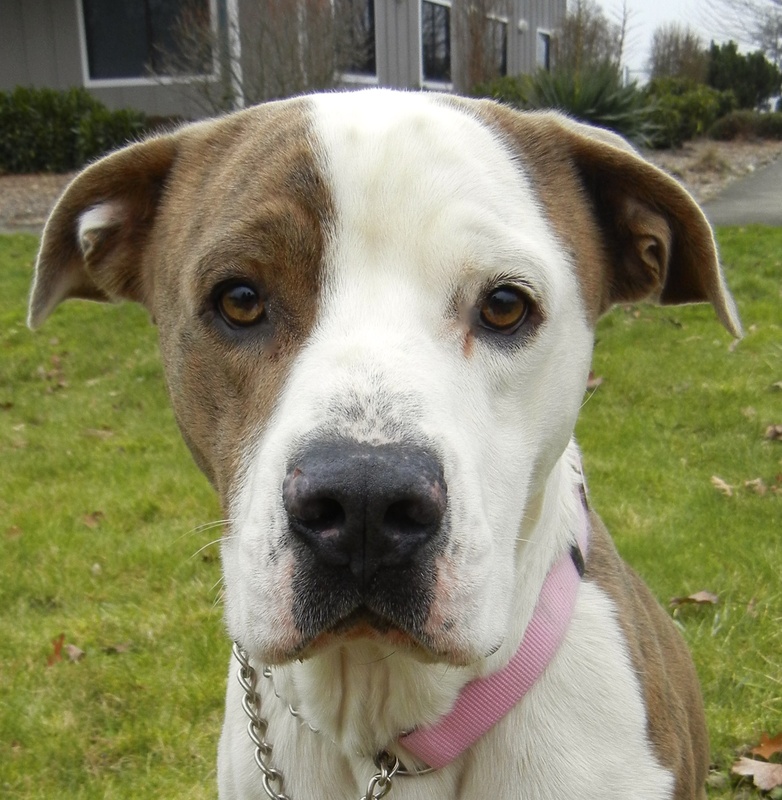 The folks in Crescent City sent her to WHS in the hopes that she would find a forever home in Oregon. 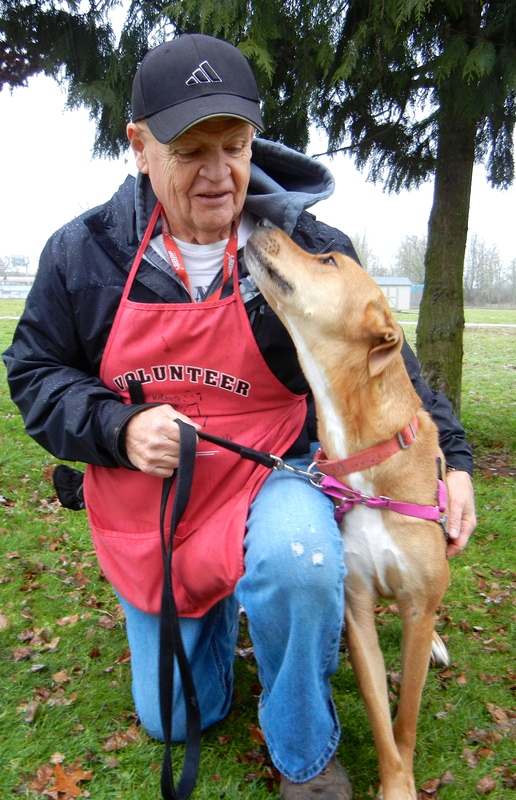 While at WHS, Lucy participated in play groups with other dogs successfully. If you are interested in fostering or adopting Lucy, please contact Pittie Pals on facebook (Pittie Pals) or at dewdropw@aol.com. 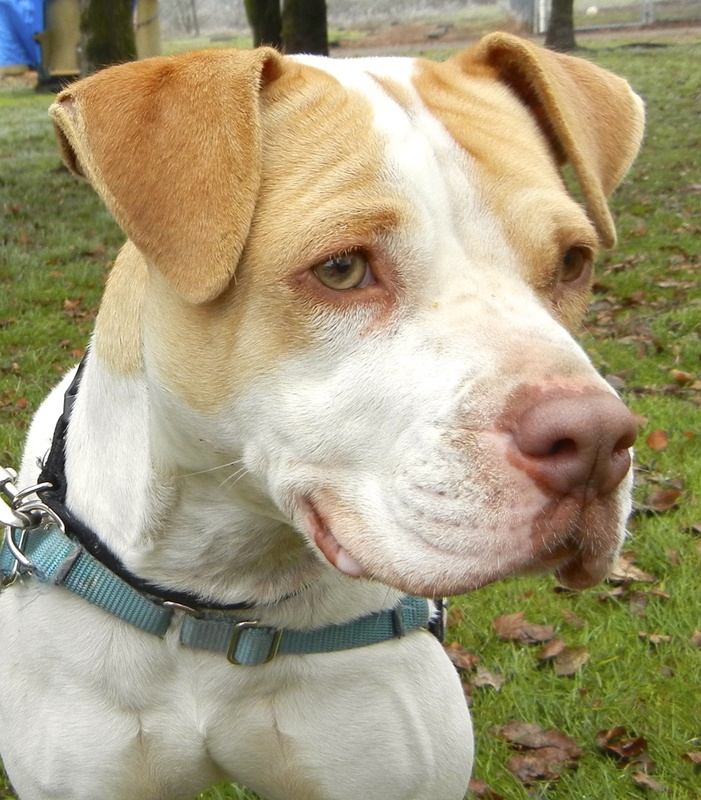 They would love to set up a time for you to meet Lucy or observe her during her obedience classes. Lucy has an adoption fee of $200. The adoption fee includes vaccinations, microchip, spay, basic obedience training and continued training at Pet Village after adoption. 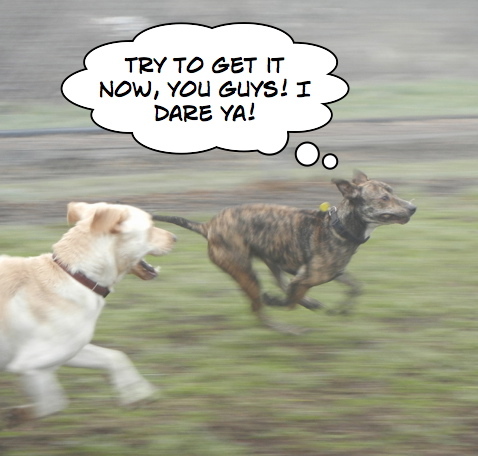 You are so great at the play group captions! So entertaining. I love the pictures also of Ben, who really does look like a baby sheep. 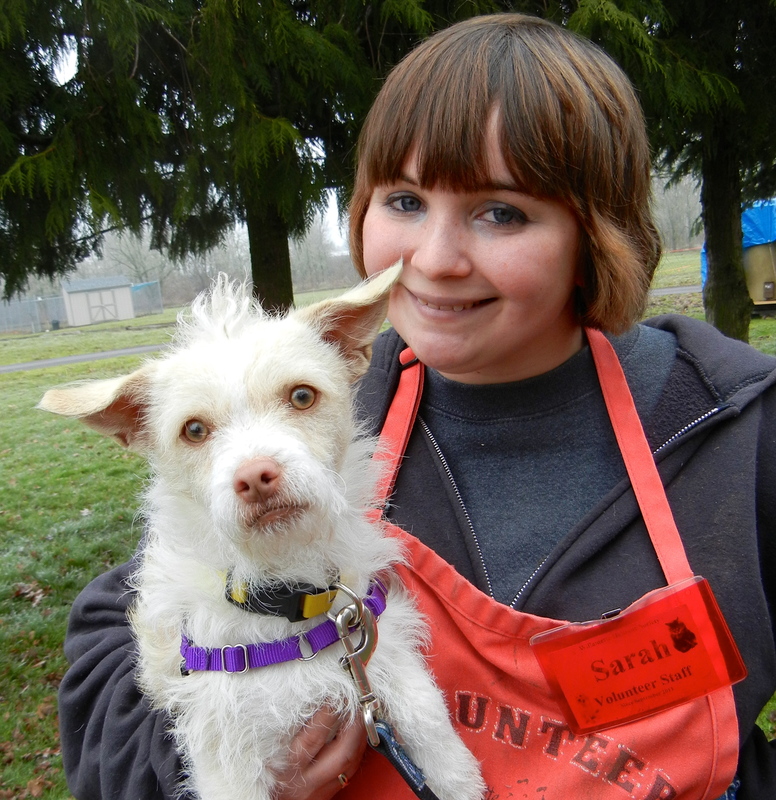 Also, I can report that some of us volunteers worked with some dogs last week in a class, and I had Victor. He has already made a lot of progress since coming to WHS, and was surprisingly attentive and pretty well behaved in the class. He will do a lot for a good treat and should be fairly easy to train further. 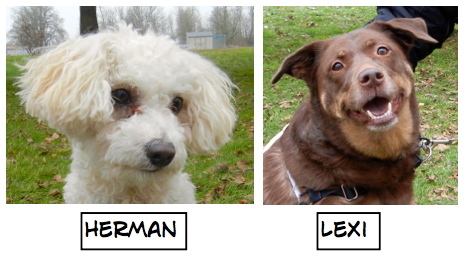 You all do such a tremendous job of sharing the dogs and their stories. 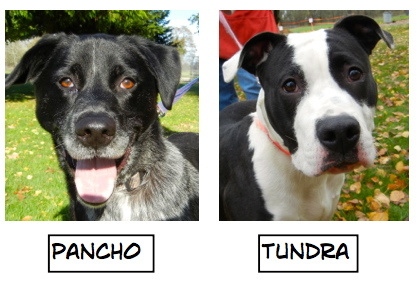 No wonder you are so successful getting homes for these sweeties! Amen to Mary being adopted. She is a great dog!! !